Welcome to Zalora! Thanks for visiting our website. This page forms the Terms and Conditions in accordance with which we supply Products (each a “Product”) listed on our website www.zalora.com.my (the “Site”) to you (the “Terms and Conditions”). Please take some time to read these Terms and Conditions before ordering any Products from the Site. By ordering any of our Products, you agree to be bound by these Terms and Conditions. You should visit our page regularly to make note of any changes we have made to our Terms and Conditions. We are JADE ESERVICES MALAYSIA SDN BHD (Company no. 973005-A) having our business address at Unit A-5-1, Level 5, Block A, Southgate Commercial Centre, No.2, Jalan Dua Off Jalan Chan Sow Lin, 55200 Kuala Lumpur trading as www.zalora.com.my (“ZALORA”). 1.1 ZALORA is an affiliate company of Zalora Group GmbH., a company registered in Germany. To place an Order with ZALORA you must be over eighteen (18) years of age. If you are under eighteen (18), you may place an Order with ZALORA only with involvement of a parent or guardian. You must not misuse this Site. You shall not commit or encourage a criminal offence, transmit or distribute a virus including but not limited to Trojan horse, worm, logic bomb or post any other material on the Site which is malicious, technologically harmful, in breach of confidence or in any way offensive or obscene; hack into any aspect of the Service; corrupt data; cause annoyance to other users; infringe upon the rights of any other person’s propriety rights; send any unsolicited advertising or promotional material; or attempt to affect the performance or functionality of any computer facilities of or accessed throughout the Site. Any breach of this provision would constitute a offence under Section 233 of the Communications and Multimedia act 1998. In the event such breach occurs, ZALORA will report the breach to the relevant law enforcement authorities and appropriate legal action will be taken. 5.1 These Terms and Conditions shall apply to all Orders and Contracts made or to be made by us for the sale and supply of Products. These Terms and Condition constitute the entire agreement between you and ZALORA and supersede any and all preceding and contemporaneous agreements between us. (d) E-gift cards and promotional vouchers must be entered at the check out page online only. Physical presentation of vouchers to ZALORA personnel will not be accepted. If you discover that you have made a mistake with your Order after you have submitted it to the Site, please contact customer@my.zalora.com immediately. We will try our best to process your request. 7.3 Upon delivery of the Product, you may be required to sign for delivery. You may contact ZALORA Customer Service Team at 03-92123535 or customer@my.zalora.com in case of any faults, defects or damage. You shall be able to provide the documents delivered with the Product, upon request. 7.6 All risk in the Product shall pass to you upon delivery, except that, where delivery is delayed due to a breach of your obligations under a Contract (for e.g. see 7.8 below), risk shall pass at the date when delivery would have occurred but for your breach. From the time when risk passes to you, we will not be liable for loss or destruction of the Product. Any breach of obligations by you, might impact your ability to shop on ZALORA in the future. If you wish to cancel your Order please contact our Customer Service Team on 03-92123535. No cancellation fees shall be applicable. Once an Order has been dispatched it may not be cancelled and the item must instead be returned to the company according to guidelines provided by the Customer Service Team (Please call the above stated number or refer to your return-slip provided in your received parcel). 9.2 All items must be received by ZALORA in order for a customer to be eligible for a refund or replacement. You shall ensure that the Product is sent to us in the same condition as it was when received by you and is packaged properly. In the event that an item is returned to us in an unsuitable condition, we reserve the right not to accept returns and send the Product back to you. 9.5 Your returned Products together with your return slip, are usually received and accepted at our warehouse within five (5) days after the drop-off at the post office counters. We will refund you via store credit which you may utilize for your next purchase. In event you prefer to refunded by different means please call our Customer Service Team at 03-92123535/03-20274717 or email customer@my.zalora.com and we will try our best to assist you. 10.5 ZALORA may at its discretion refuse to process a replacement/exchange order however may offer a refund as a substitute remedy subject to clause 9. 11.2 To redeem vouchers in your Account or check an existing credit, please visit "My User Account" on the Site. Subject to clause 14.1, we accept no Liability for errors in the email address of the voucher recipient. 11.3 Promotional vouchers must be entered at the check out page online only. Physical presentation of vouchers to ZALORA personnel/Delivery staff will not be accepted. 11.6 In rare cases, ZALORA may at its sole discretion discontinue or cancel any voucher previously issued and will not be responsible for any losses arising therefrom. (b) You may redeem only ONE voucher per promotional campaign. ZALORA reserves to the right to cancel any subsequent orders made by you using a voucher of the same promotional campaign. (c) An order for a e-gift cards can be cancelled by contacting us on +03-92123535/03-20274717 or email customer@my.zalora.com . A voucher is considered to have been redeemed if it is used as payment in placing an Order. (d) If the credit of a e-gift cards is insufficient for the Order you wish to make, you may make up the difference using one of our accepted payment methods. 12.1 The content displayed on this Site is provided without any guarantees, conditions or warranties as to its accuracy. Unless expressly stated to the contrary and to the fullest extent permitted by law, ZALORA and its suppliers, content providers and advertisers hereby expressly exclude all conditions, warranties and other terms which might otherwise be implied by statute, common law or the law of equity and shall not be liable for any damages whatsoever, including but without limitation to any direct, indirect, special, consequential, punitive or incidental damages, or damages for loss of use, profits, data or other intangibles, damage to goodwill or reputation, or the cost of procurement of substitute goods and services, arising out of or related to the use, inability to use, performance or failures of this Site and any materials posted thereon, irrespective of whether such damages were foreseeable or arise in contract, tort, equity, restitution, by statute, at common law or otherwise. 12.2 Nothing in these Terms and Conditions shall exclude or limit ZALORA’s Liability for death or personal injury arising from its negligence, fraudulent misrepresentation, and misrepresentation as to a fundamental matter or any other Liability which cannot be excluded or limited under applicable law. You agree to indemnify, defend, hold harmless ZALORA, its directors, officers, employees, consultants, agents, and affiliates, from any and all third party claims, liability, damages and/or costs (including but not limited to, legal fees) arising from your use of this Site or your breach of the Terms and Conditions. 14.1 ZALORA shall perform its obligations under these Terms and Conditions with reasonable skills and care. 16.3 If we have C contracted to provide identical or similar Products to more than one Customer and are prevented from fully meeting our obligations to you by reason of a Force Majeure event, we may decide at our absolute discretion which Contracts we will perform and to what extent. (a) Notices given by post shall be deemed to have been served with two Business Days of being posted to the recipient’s address within Malaysia. 18.1 All content included in or made available through our Site, such as text, graphics, logos, button icons, images, audio clips, digital downloads, campaign titles and data compilations is the property of ZALORA or its content suppliers and is protected by copyright laws and treaties around the world. All such rights are reserved by ZALORA and its licensors. You may store, print and display the content supplied solely for your own personal use. You are not permitted to publish, manipulate, distribute or otherwise reproduce, in any format, any of the content or copies of the content supplied to you or which appears on this Website nor may you use any such content in connection with any business or commercial enterprise. 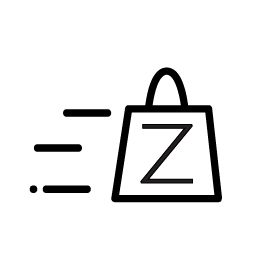 18.2 In addition, graphics, logos, page headers, button icons, scripts, and service names included in or made available through the Site are trademarks of ZALORA in Malaysia and other countries. ZALORA's trademarks may not be used in connection with any product or service that is not provided by ZALORA, in any manner that is likely to cause confusion among customers, or in any manner that disparages or discredits ZALORA. All other trademarks not owned by ZALORA that appear on the Site are the property of their respective owners. 18.4 You must not use any part of the content on our site for commercial purposes without obtaining a license to do so from us or our licensors. In the event ZALORA becomes aware of any infringement of its intellectual property rights, it shall not refrain from taking any relevant legal action. 18.5 If you print, copy or download any part of our Site in breach of these Terms and Conditions, your right to use our Site will cease immediately and you must, at our option, return or destroy any copies of the materials you have made. You shall not modify, translate, reverse engineer, decompile, disassemble or create derivative works based on any software or accompanying documentation supplied by ZALORA or its licensors.